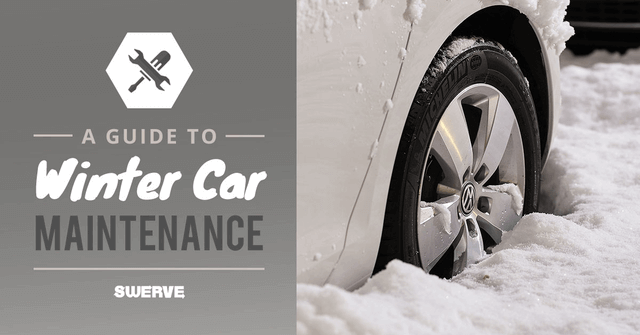 Maintenance on your car during the winter is different than the summer. Most mechanics recommend doing different inspections and changes for both winter maintenance and summer maintenance. A lot of the maintenance you can do yourself, or hire a mechanic. Either way, here are some of the maintenance items to do to help get your car ready for winter from the top to the bottom. The windshield wipers on your car are only recommended for six months. Unfortunately, most people don’t think about changing their windshield wipers until they are in the middle of a storm and see their wipers aren’t doing a great job. Switching out your blades in the fall will help keep your windshield clean and your visibility great all through the cold season. Don’t forget to switch out the blade on your rear window too. Two more things that affect visibility are ice on your windows and a dirty windshield. To keep visibility great is to make sure your windshield washing fluid is full. That way, when another car on the road splashes dirty slush on your car, you won’t be left with thick, dirty streaks. Also, make sure you have an ice scraper and snow brush in your car. This way, you are prepared for ice on the windows or coming out of the office to a snow-covered car. The two most important fluids to check are the oil and coolant. These each serve a different purpose in your vehicle and are important to have at optimum levels during the winter. Having the right amount of antifreeze and water mixture in your radiator will keep it from freezing. If you live in an area where temperatures drop below freezing, most mechanics recommend using a thinner oil to protect your engine. Both fluid levels are going to be different for each style and type of vehicle, so make sure you check the recommended levels, types, and mixtures in your owner’s manual or talk to a trusted mechanic in your area. Cold weather reduces the capacity of your battery, which is why many people must replace them during the winter. Make sure your battery is ready for winter by inspecting the fluid, cables, and terminals. Also be sure to check the battery itself for anything like cracks or breaks in the casing. Check the voltage by either using a handheld hydrometer or, if you have the ability, check the voltage on your dashboard. If you live in an area that gets cold, you may have noticed before that lower temperatures deflate tires a little. With low air pressure, your tires don’t get great gas mileage, but they also increase the risk you take on a slick road. Make sure that you check and adjust to the recommended PSI level for each tire. While you check the pressure on each tire, take some time to inspect the tread. Balding tires increase the danger on a wet road because they don’t have enough grip. Depending on the area you live, consider switching all four tires to snow tires or all-season tires. This will help you have more control and grip on the road as you drive in wet and slippery conditions. Once you have finished inspecting your tires, you have completed our general winter maintenance checklist. If you have noticed funny noises or problems with your car, make sure you take it to the mechanic so that you can get them resolved quickly. Don’t let a problem continue during any season, but during the winter you risk being stranded in the cold.